Switching up our table settings is something I like to do every week. It makes me feel like the whole room is new and fresh. This week I thought we would go with a Farmhouse theme. Since my adjoining kitchen can go in any direction, this works out great. 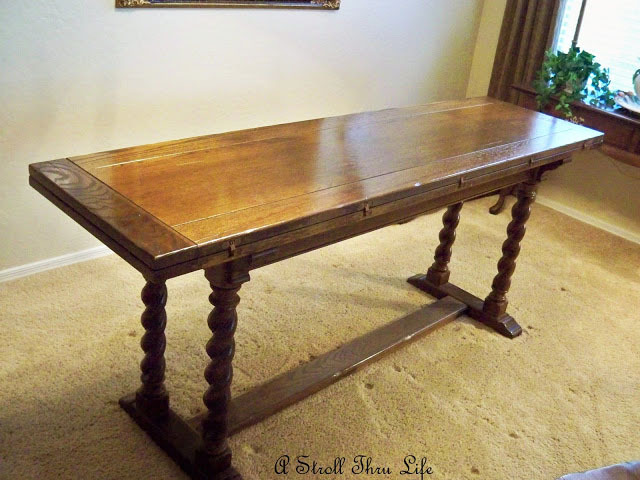 I do have a fabulous farmhouse table to work with. The secret is it is a special flip top table that can fold down to half the size and become a library table. I did a post about it once here. Since my current breakfast area is hard to get the full table in a picture, I thought this one did a great job of showing the pretty twisted legs. and it can flip in half to become a library table if needed. This is an amazing find at a consignment store years ago. The table and chairs are from Ethan Allen. Ok, back to today's setting. I love my pretty white pieces and of course my cows too. 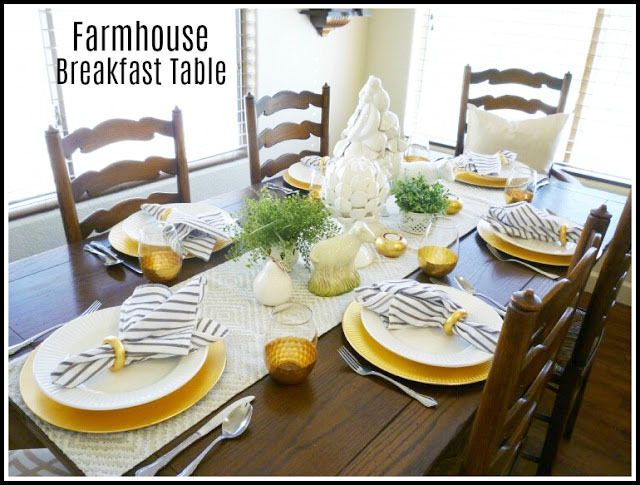 They make a pretty farmhouse tablesetting that is fun and fresh. Of course a few gold accessories always help any table out. A big pot roast or fried chicken sounds like good Farmhouse food to me. I better get cooking. Do you switch up your table every week too? Oh Marty your farm table is such a pretty one, those legs are the best and it was a great find you did. The table setting is lovely, I so love your glasses with the gold bottom. The menu sounds delish, wish I could go and drop on you, lol.. I would love to have you anytime. We would talk for hours. 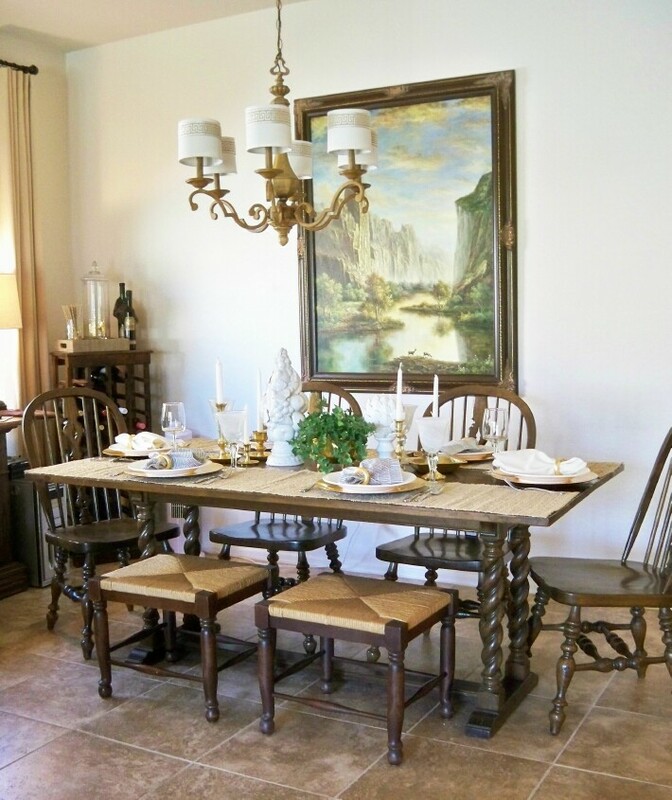 Love your farmhouse table setting. Did I miss the secret you talked about in the title of the post, or was the secret the way the table can become a library table? The secret is the table can become a library table. 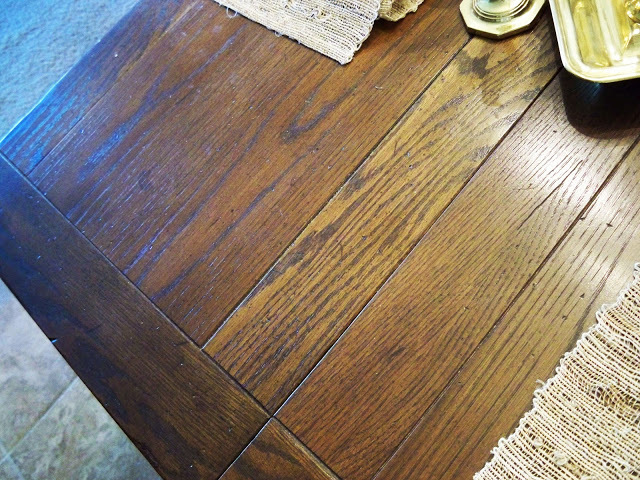 Love the legs on your table. What a pretty table. 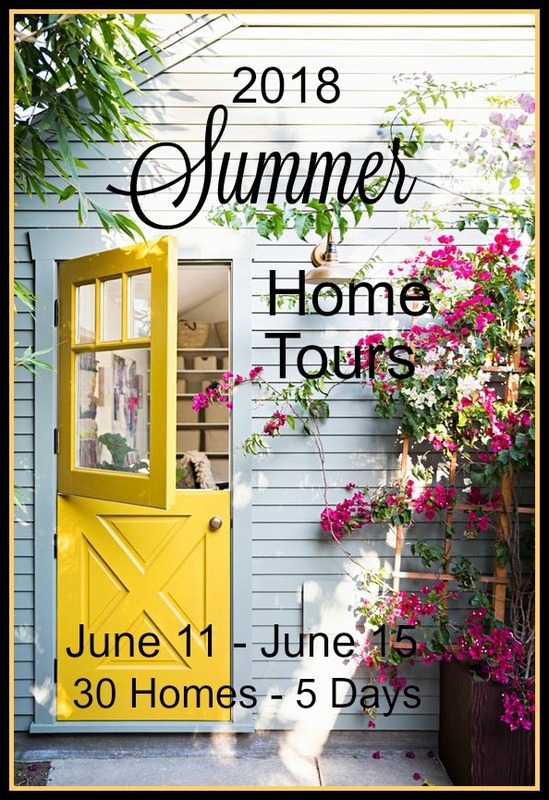 Can't wait to see the summer home tours. Posts like this make me want to move out my small apartment. I would love to switch up!! You did a beautiful job!